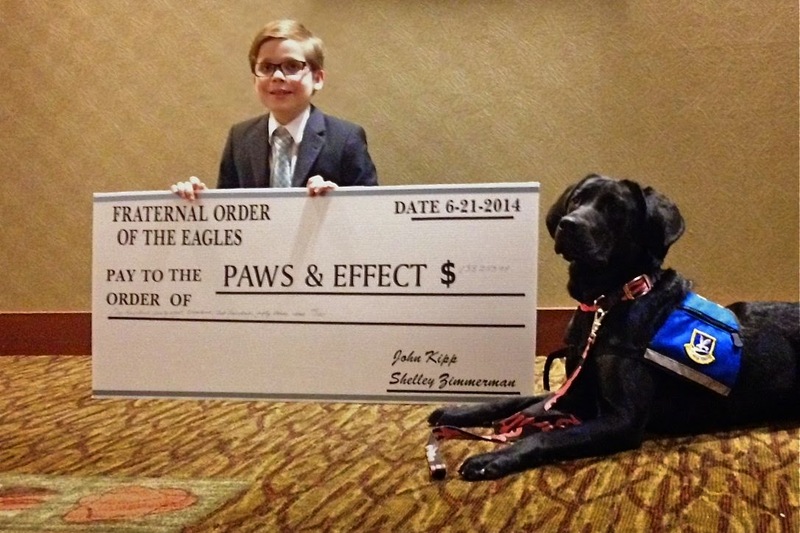 The newly launched Old Legion Brewing Company, Ladora, Iowa, is donating a 15 percent of sales of its inaugural "Big Gun Lager" to Paws & Effect, a central Iowa-based non-profit that trains service animals for military veterans and others. The company mission statement reads, "Old Legion Brewing Company's mission is to provide a quality, military themed craft beer at a fair price, engage the beer drinking community to build awareness of veteran issues, employ veterans, and raise money for local veteran causes." Ladora restauranteur and Old Legion founder Dimitri Makedonsky (recently profiled in the Des Moines Register) was inspired to start the company after renovating a former American Legion hall. 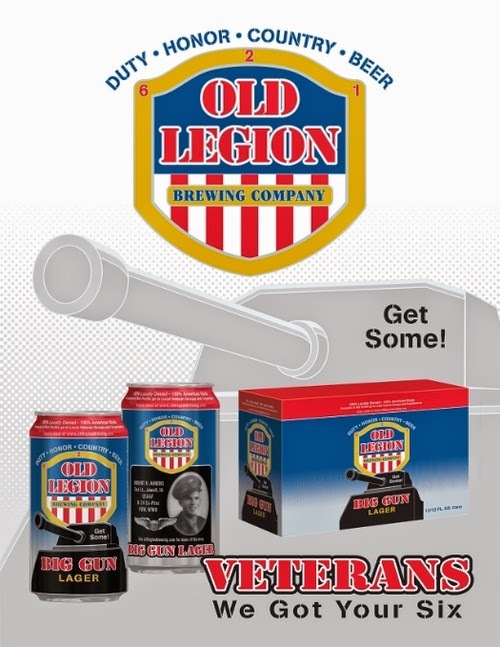 While not a brewer himself, he has contracted the production of Old Legion recipes to Minhas Craft Brewery, Monroe, Wis.
Each Old Legion label features a tribute to a military veteran—the first will be B-24 pilot Robert Ahrens of Jewell, Iowa. Makedonsky, 52, is himself an Army and Air Force veteran, and other family members are, too. Makedonsky invites Iowans to nominate other veterans for future labels. The company will placing official military seal and symbols on its products. Instead, Big Gun Lager appropriately features the silhouette of a tank. The company describes the beer as having "light aromas of malt and grain, a pleasant hoppy bitterness with a hint of sweetness. Big Gun Lager was placed in cold storage (lagered) for a minimum of 35 days resulting in its clean, crisp, smooth taste." The product is 5 percent alcohol by volume. Meanwhile, he's also personally visiting veterans' halls and small-town taverns to find distribution for some 4,400 cases that will soon be "air-dropped" into Iowa. He can be reached at cell phone: 641.990.9360.